A slight dogleg left that sends you back towards the clubhouse. 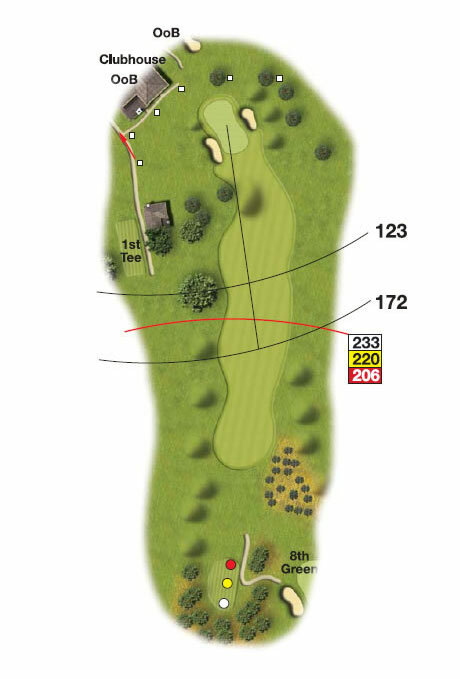 This par 4 has a relatively small lading zone to find the fairway, however finding the fairway will put you in a great position for an inviting approach. Watch out for the large greenside bunkers that punish a stray approach shot, finding these will lead to trouble.